Studies show that about 41% of Canadians have high cholesterol. High cholesterol is dangerous because it paves the way for heart attacks and heart disease. Taking medication is beneficial, but combining your medicines with natural supplements to lower cholesterol can have a positive effect. Not sure which natural supplements you should be taking? Read on to learn which ones are best. First of all, what is high cholesterol? 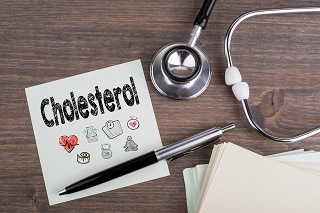 Cholesterol is a term that's been associated with negativity, but your liver produces cholesterol to help it properly maintain the body's cells, nerves, and hormones. There are two types of cholesterol: low-density lipoprotein (LDL; bad cholesterol) and high-density lipoprotein (HDL; good cholesterol). The trouble begins when LDL begins to cause build up in your arteries, leading to high cholesterol levels. HDL counteracts LDH and travels through the bloodstream to dispose of it. The build-up of LDH can be attributed to poor diet, lack of exercise, or genetics. Triglycerides are also lipids, or fats, and are the leftover product after digestion. If your triglycerides are high, this contributes to high cholesterol. There are natural ways to lower cholesterol along with taking your medication. Always consult your doctor before taking any supplements or changes to your diet. Making dietary and lifestyle changes are the first place to begin when looking to lower cholesterol. While they may not lower your cholesterol completely, they can lower your dose of medication needed. With the OK from your doctor, build an exercise regimen. Exercise raises the HDL in your blood. Start with 20-30 minutes of walking, bike riding, or other activity you enjoy. Toss out the tobacco. Just 20 minutes after quitting smoking, your heart rate and blood pressure begin to improve, and if you stick with it for a year, your risk of developing heart disease is cut in half. Being overweight can have a negative impact on your high cholesterol. Talk to your doctor about safe ways to start reducing the pounds. Watch your alcohol intake. Drinking alcohol has some benefits, but too much is bad for you, including heart failure. There are several heart-healthy foods to begin including in your diet. A diet rich in vegetables can provide you with sterol or stanols. Sterol and stanols are compounds found in plants and hinder the body from being able to absorb cholesterol. You can also find sterol and stanols in supplements. Nuts and seeds are a valuable source of healthy fats and fibers that work to decrease LDL cholesterol. Try almonds, walnuts, and ground flaxseed or flaxseed oil supplement. Sprinkle this spice on your salad or add it to a smoothie to lower your cholesterol. Oats, quinoa, and brown rice all provide fiber which aid in a healthy heart. Avocados are rich in heart-healthy fats as well as potassium and fiber, which are known to help lower cholesterol. Filling your plate with beans, lentils, and peas have been shown to have positive effects on high cholesterol. Certain fruits like berries and apples contain pectin, which is a soluble fiber known to lower cholesterol. Dietary and lifestyle changes may not always be enough to lower cholesterol. Here's a list of supplements to incorporate in your cholesterol management. These are relatively common and can be found at your pharmacy. If your Doctor has prescribed you Cholesterol Medication, you can fill your prescription and save money here. Niacin is a supplement more commonly known as vitamin B3. Taking 1500mg a day has been shown to reduce LDL cholesterol and increase HDL cholesterol. Sometimes an effect called 'flushing' can occur when niacin is taken. Flushing is when a person feels hot, or the skin becomes red. It's usually shortlived and not harmful, though it could potentially cause liver damage. Coenzyme Q 10 (CoQ10) is a nutrient made in the body and an antioxidant. Some studies have shown that taking CoQ10 can lower cholesterol by clearing out the build-up, causing the blood to flow easier. Start by taking 200-300 milligrams a day. Fish oil is packed with omega-3s, a necessary fatty acid for heart health. 1,000-2,000 milligrams a day can lower LDL cholesterol and increase good HDL. Garlic should be added to your dietary changes, but if you're having trouble including it, try a supplement, particularly aged garlic. About 500 milligrams a day can help. Red yeast rice is the product of white rice that's been fermented with red yeast. Monacolin K is the compound in red yeast rice thought to slow the making of cholesterol. About 1,200 milligrams a day has been shown to lower triglyceride levels and LDL cholesterol. Soluble fiber can help dimish the amount of cholesterol collected in your body, especially a type of fiber called psyllium found in products like Metamucil. Adding fiber to your diet can also strengthen your heart. If you're cutting out red meat, try soy protein supplement to replace the protein loss due to dietary changes. Soy can lower LDL cholesterol. While there are plenty of ways to reduce your cholesterol, there are some things you should avoid to keep it that way. Saturated fats are found in animal products like red meats, dairy, eggs, and some oils like palm and coconut oil. These foods can often spike your LDL, but there's some evidence that they may increase HDL. If you struggle with high cholesterol, it's best to avoid saturated fats all together until you discuss it in more length with your doctor. A chemical reaction is required to turn liquid vegetable fats into solids, and what's left over are called trans fats. Trans fats offer no health benefits and have been proven to raise LDL cholesterol. Trans fats have been banned in Canada. Kicking the caffeine habit may benefit your cholesterol levels. Drinks like coffee, energy drinks, and sodas should be used sparingly. Sugar disrupts cholesterol levels by lowering your HDL. The same is true for refined carbohydrates, so be conscious about how much sugar you are consuming. Having high cholesterol has dangerous precursors. These natural supplements to lower cholesterol can help make your life more manageable. Choose one or a number of these supplements and discuss them with your doctor. They will know the best course of action to help you lower your cholesterol. Looking for a trusted and friendly pharmacy? With over 1,000 prescriptions and OTC products and 14 years in the pharmacy business, we are a trusted company to provide you answers to all your questions regarding pharmaceuticals. Visit us today to learn more about how we can assist you.